The Pittsburgh Symphony Orchestra, under guest conductor Krzysztof Urbanski presented a program featuring the PSO's concertmaster Noah Bendix-Balgley as soloist. Mr. Urbanski is the Music Director of the Indianapolis Symphony, among other similar positions. He is in his early thirties and is either loved or not loved according to articles in the Indianapolis newspapers. ie is either a prima donna or the greatest conductor alive, or maybe both. But the hair- it has more gel in it than a bowl of Bill Cosby's jello. But he wears it well. And AMC digresses. Mr. Bendix-Balgley (say that 10 times fast) is also First Concertmaster of the Berlin Philharmonic. 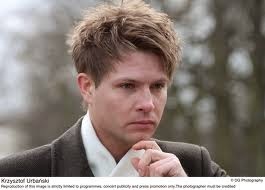 He is a bit younger than Maestro Urbanski and his hair is much less flashy. He played a near perfect performance of the Khachaturian Violin Concerto. Khachaturian, an Armenian composer, is best known for "Saber Dance" from the ballet Gayaneh and also the ballet Spartacus. He music does not appear often in our concert halls yet his music is vibrant and accessible. Bendix-Balgley's performance was intense and technically brilliant. His violin has a sweet golden tone and his vibrato is well controlled and appropriate. He was very very intense while playing. During breaks between movements, he mopped his brow and the fingerboard of the violin repeatedly. During an encore, he played a gorgeous Klezmer piece. Bendix-Balgley has been a champion of this music of Eastern European Ashkenazi Jews and he plays with various Klezmer groups. When performing this music, his demeanor changed markedly. Gone was the formal technician and in its place came an emotional musician playing his heart out in music that he truly loves. That's not to say that the Khatchaturian piece suffered- rather it means the Klezmer piece was a contrast with its pathos and sadness. Both pieces were successes though vastly different. Bendix-Balgley's art is that he can do both kinds of works with vastly different requirements with equally good results. Apparently, he has been given a year to decide if he wants to go to Berlin permanently. He is a great talent. AMC wishes his good fortune either way- although it would be nice to see him stay in the 'Burgh. Finally, the love that both the musicians and audience showed for Mr. Bendix-Balgley was impressive. The second half of the performance consisted of Mussorgsky's "Pictures at an Exhibition" with a twist. Before the piece was played, Jim Cunningham (the voice of Pittsburgh's classical music station, WQED) discussed sections of the work and presented passages of the original piano version (played by PSO pianist Rodrigo Ojeda) followed by the same snippet played by the full orchestra. It was entertaining and informative- AMC sort of felt like he was at a Bernstein Young People's Concert. Cunningham noted that the Pictures is a specialty for Mr. Urbanski, who conducted the piece without a score. The host has a wonderful knowledge of music as well as a wonderful radio voice. Unfortunately, he spoke rather quickly and the content tended to get muddled in the richly reverberant Heinz Hall acoustics. There were a few attempts at humor that seemed to make Maestro Urbanski a bit uncomfortable. Well, not everyone can be Ed McMahon to Cunningham's Carson. But when the main course came the PSO gave a tingling performance. James Vosburgh's trumpet in "Two Polish Jews (Samuel Goldenberg and Schmulye) was unbelievably controlled and precise. Lorna McGhee's flute tone was smooth and golden. The cellos, which sit adjacent to the first violins and facing the audience, gave a solid bass underpinning for the music that adds to its punch. The violins play with such precision. They begin and end a phrase so precisely that it is as if one were listening to one instrument. Heinz Hall is a big auditorium (it has about 2600 seats) yet each section of the orchestra is clearly defined in the soundscape- there is no auditory smear. 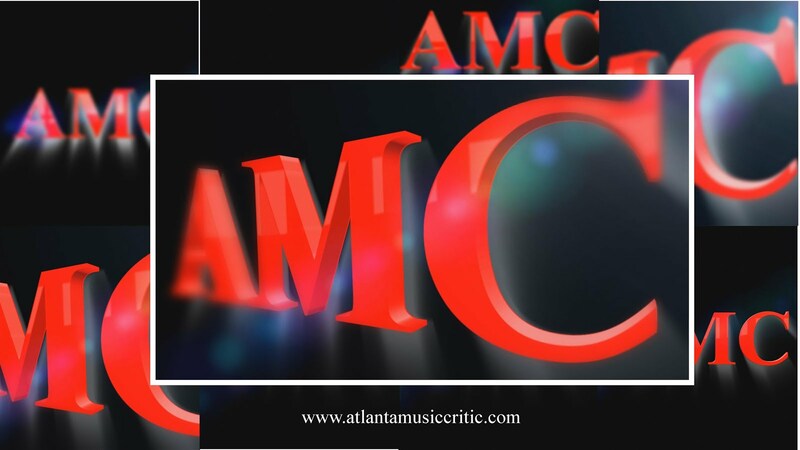 AMC noticed that the audience appeared to have many more young people than is the case in Atlanta, for example. Many college-age students and young business-types were in the audience. Before the concert, a student string quartet played in the lower lobby. Some final random observations- over half of the PSO musicians have endowed chairs. They seem to have jettisoned the Principal Guest Conductor (it was Leonard Slatkin) position as well as the Victor DeSabata Guest Conductor (it was Gianandrea Noseda). Cost saving moves maybe. There is a grand gentleman in a white overcoat and top hat who is the doorman to Heinz Hall- he adds a touch of the theatrical to entering the facility. It is a grand experience to hear a truly world-class orchestra. Everyone should allow themselves the thrill of hearing 100 musicians play great music together. It is a peak experience.